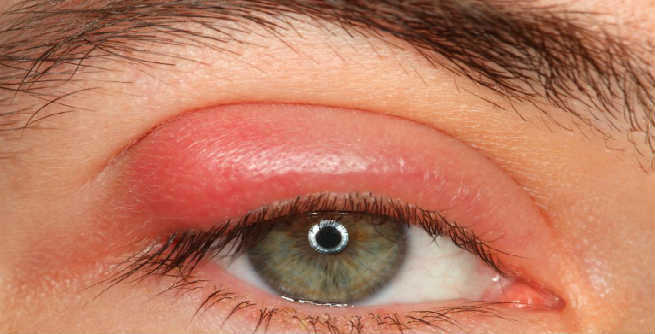 A pimple on eyelid, also known as the ‘stye’, is resulted from the infection of sebaceous gland present on the eyelid. This red swelling comes with acute pain and might take 5 to 6 days to get cured. However, the following effective remedies can help you speed up the process of healing and get rid of styes within a couple of days. A warm compress can help a lot in treating painful pimples on eyelids. Dip a clean piece of cloth in hot water and hold it on the trouble spots again and again for 8 to 10-minute intervals. Do it at least 4 to 5 times every day until the pus gets eliminated completely and the pimple becomes smaller in size. Coriander seed is known to be another effective natural solution for styes. You need to prepare a coriander seed wash by steeping a handful of coriander seeds in a cup of plain water. 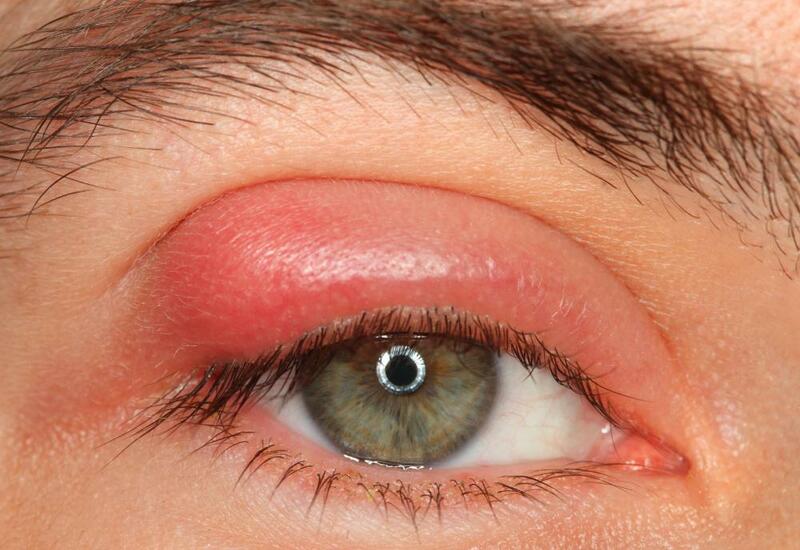 Strain the concoction after a couple of hours and wash the affected eye with it at least 3 to 4 times a day. The guava leaf compress is almost similar to the warm compress. All you need to do is boil 2 to 3 fresh guava leaves in plain water for 5 minutes, dip a clean piece of fabric in the liquid and then compress the pimple with it in the previous way. Both inflammation and pain will go down gradually. Well, taking painkiller certainly does not remove pimples from eyelids. But it can keep the pain under control, which might make rest of the process much easy. However, while buying an OTC painkiller, make sure that it is a non-steroidal anti-inflammatory one. Also, follow the dosage mentioned on the packaging strictly. Certain OTC antibacterial creams can also cure styes and prevent their further occurrences efficiently, when applied according to the directions. You need to dab a very small amount of the ointment on the pimple at night and wipe it away with a damp cotton ball in the next morning. Sometimes, getting rid of the trouble eyelash can be highly relieving. Just figure out that particular lash, which is causing the infection to spread and pluck it by using a tweezer. Cleanse the pimples multiple times with the help of a cotton ball soaked in lukewarm water. It will help you combat the root causes of your sebaceous gland infection by eliminating dirt, excess oil and makeup residues. 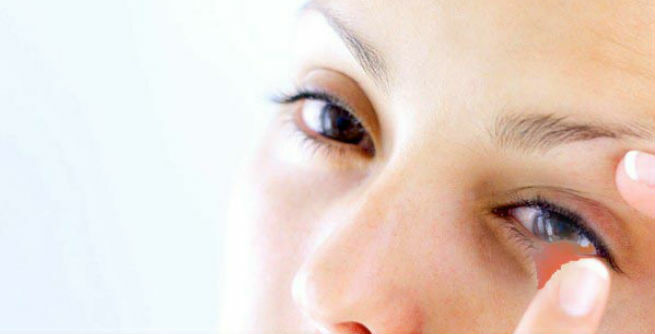 Your basic sense of hygiene is important for removing pimples from your eyelids successfully. If you touch the affected spots with your fingers again and again, you will end up spreading the infection by transmitting bacteria from your hands to your eyelids. So, clean and wash your hands frequently with a good quality soap. If you need to wear contact lenses, make sure that you wash them each and every day by using the specific cleansing solution. Or else, your styes would get even worse. It is better not wear an eye makeup while you have got a pimple on your eyelid. But if it is crucial for you, make sure that you choose high-quality cosmetics and remove it every day before going to the bed. These would help you get rid of that painful swelling fast.